Westfield W-League Week 9 action—Brisbane remains alone at the top of the table as the road team won all four matches this week. Newcastle Jets continued their march to their first playoff spot in nine years with an emphatic 3-1 win over the Melbourne Victory on December 29. A crowd of 5,533 saw the match, held as a prelude to a men’s game at AAMI Park in Melbourne. American imports Katie Stengel (Boston Breakers) and Tori Huster (Washington Spirit) both scored, along with defender Hannah Brewer (who once played a season with the Seattle Sounders in the USL’s W-League) notching her first goal of the season and her first in 80 W-League matches across 10 seasons. Stengel, who scored from the penalty spot after Brewer was taken down in the box, now has 6 goals on the season—third in the league behind Perth’s Sam Kerr (8) and Rachel Hill (7)—while Huster has two. 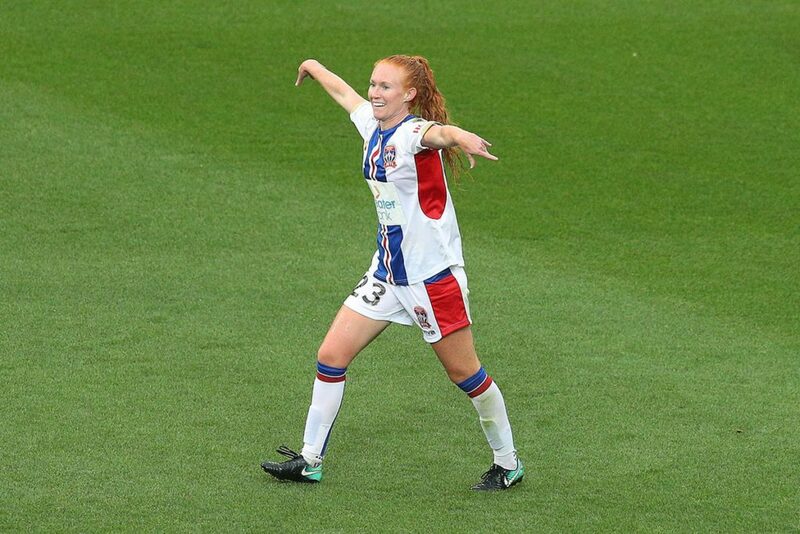 Melbourne’s loan goal came from 15-year-old Kyra Cooney-Cross, her first W-League goal in her first season in the league, which again emphasizes the vast age range on some teams and the importance of the W-League in developing young teenage talent within Australia. Newcastle is now all alone in second place and if they can maintain this spot through the last five rounds of the 2017/18 league, they would host a semifinal. For the Jet’s NWSL loanee contingent, goalkeeper Britt Eckerstrom (Portland Thorns) and defender Arin Gilliland (Chicago Red Stars) played the entire match while Huster and Stengel were subbed out in the last few minutes. 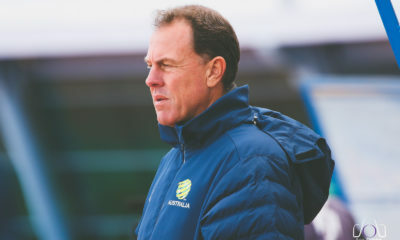 For Melbourne, Christina Gibbons (who just this week was traded by the Utah Royals to Sky Blue FC), Kristen McNabb (Seattle Reign) and Natasha Dowie (Boston Breakers) all played 90 minutes as did Australian international Laura Alleway (ex-Orlando Pride). 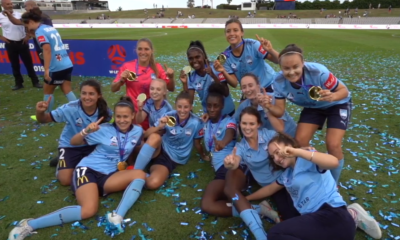 On Friday December 29, Sydney FC used a late Caitlin Foord (ex-Sky Blue FC who played in Japan earlier this season) goal deep into injury time to come away with full points on the road to Adelaide United in front of a crowd of 1,015. Foord was a substitute at half time for 18-year-old midfielder Remy Siemsen. A goal in the 26th minute from Kylie Ledbrooke, her fourth of the season to tie Lisa de Vanna for the club lead, held up for Sydney until the 55th minute when Australian international midfielder Alexandra Chidiac scored her first goal of the season from the penalty spot. 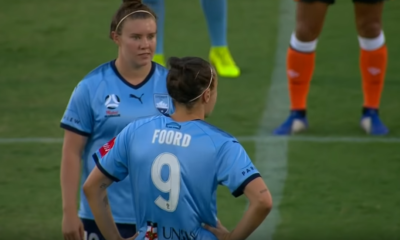 Foord rescued the three points for Sydney to keep them firmly in the race for the playoffs, with 15 points for third place, all from their last five matches, two of which have been on the road. 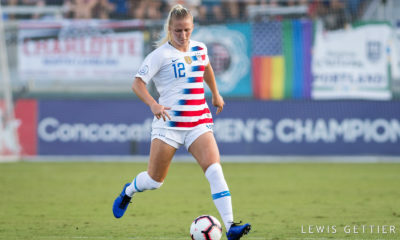 American international Emily Sonnett (Portland Thorns) played the entire match for Sydney as did goalkeeper Audrey Bledsoe (Orlando Pride). 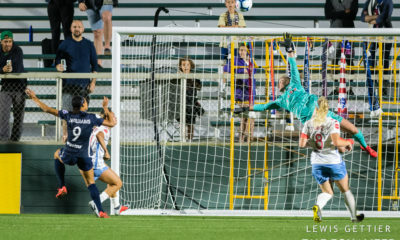 For Adelaide, NWSL loanees Danielle Colaprico, Alyssa Mautz, Katie Naughton (all Chicago Red Stars) and Makenzy Doniak (North Carolina Courage) played the full 90 minutes. Brisbane Roar retained their lead at the head of the table with 18 points after a solid 2-0 victory on the road against Perth Glory on December 29 in front of 1,046 fans. Perth entered the game tied with Newcastle for second but fell to a tie for fourth. The Roar won through second half goals by Portland Thorns’ Australian international Hayley Raso (her second) and club leading scorer Allira Toby (her fourth), which is double what she tallied in two previous W-League seasons—last season with the Roar and the 2015/16 season with Adelaide. For Perth, Amanda Frisbie (Boston Breakers), Nikki Stanton (Sky Blue FC), Costa Rican international Raquel Rodriguez (Sky Blue FC) and Rachel Hill (Orlando Pride) all played ninety minutes while Kerr missed the match. 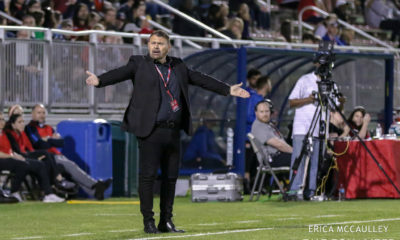 For Brisbane, midfielder Celeste Boureille (Portland Thorns) and defender Carson Pickett (Seattle Reign) and Raso started, with Pickett subbing out late in injury time for 16-year-old defender Hollie Palmer. On New Year’s Day, Melbourne City used an injury time goal from Seattle Reign loanee Jess Fishlock for a 1-0 road win against Western Sydney Wanderers before an A-League/W-League doubleheader crowd of 4,178. Kyah Simon crossed the ball for Fishlock, who was in the box a few yards out from goal, for the late winner. For City’s NWSL loanees, Lauren Barnes, Rebekah Stott, Lydia Williams and Jess Fishlock (all Seattle Reign) and Steph Catley and Alanna Kennedy (both Orlando Pride) all played the entire match while Ashley Hatch (North Carolina Courage) subbed out in the 72nd minute for Australian Rhali Dobson, who is in her first season with City after years with Newcastle. Brisbane Roar tops the W-League table with 18 points, with Newcastle Jets second on 16 points, one ahead of Sydney FC (15). Perth and Melbourne City are tied for fourth on 13 points. Canberra is four points out of the playoff reckoning with 9 points but has a game in hand. Melbourne Victory and Western Sydney are two points further behind in seventh with 7 points and Adelaide is last with 4 points.